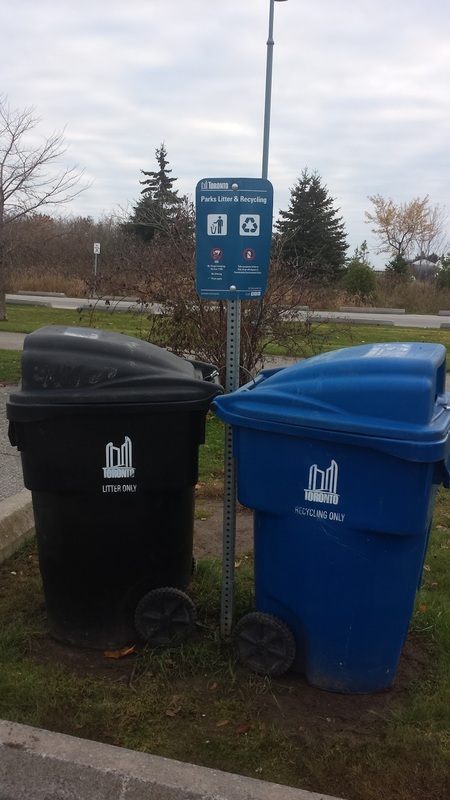 Residents of south Etobicoke interested in taking climate action are invited to come to a free workshop to learn how to advocate for full funding of the TransformTO* initiative. The workshop will take place Monday November 20, 2017, 7:00 PM – 9:00 PM at the Ken Cox Community Centre, 28 Colonel Samuel Smith Park Drive. 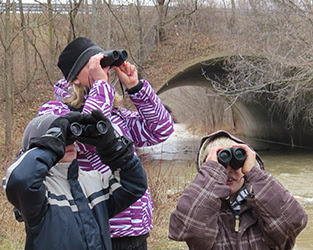 The CBC4Kids is a fun way for young people to connect with nature, the birding community, and Christmas Bird Count traditions! 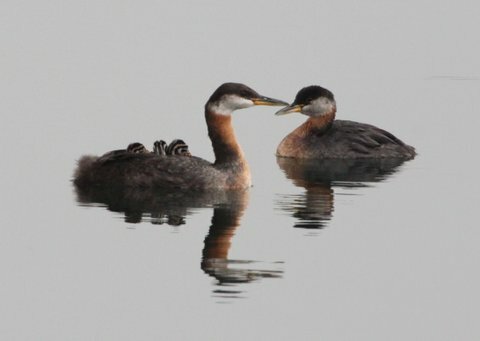 Participants develop their knowledge of local birds while contributing to Citizen Science. Find an event near you or plan your own! 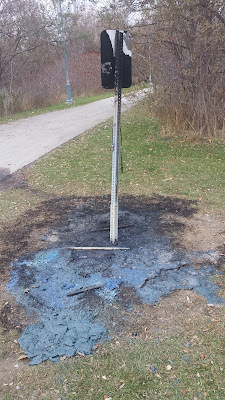 Some garbage bins were recently set on fire in the area along the bike path near the parking lot. It has now been reported to the City. It is important that vandalism and other incidents like this be reported as soon as possible so that crews can fix the problem promptly to avoid encouraging copycats. 9) The building, erection and maintenance of 65 Tree Swallow nesting boxes. STEERING COMMITTEE ELECTION: The members of the committee are: Brian Keaveney (President), Brian Liberty (Vice President), Monique Fischer (Treasurer), Sandra Hawkins (Secretary), Liana Franciosi, Barbara Keaveney, Terry Smith and Nancy Barrett. SPECIAL PRESENTATION: Sandra H. presented a photographic essay--Colonel Sam Smith Park: A Sanctuary in the City--that emphasized the wildlife that calls CSSP home and the volunteers who are devoted to the park’s protection. REQUEST FOR VOLUNTEERS: Volunteers are needed to collect photos, distribute flyers, etc. for the 2018 FOSS PHOTO EXHIBITION. Sponsors gratefully welcomed. See the FOSS web site for additional information. Humber College Interpretive Centre has mounted a display (A Bird’s Eye View) that addresses the avian treasures of CSSP. FOSS provided guidance for this exhibit. The centre also lends binoculars to help enhance visitors’ enjoyment of the park. The last day for the exhibit is November 25. Toronto Climate Film Fest. Free. November 16. 6:30PM. Humber College, Lakeshore Campus. L Building. Room L1017. Feature film: Sea of Life. The film’s director, Julia Barnes will be in attendance.